Ter Rehmat Ki Atta (IQ! Place) This is an islamic naat/hamd. 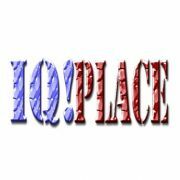 Please visit iqplace.weebly.com to listen more. Tamanna (IQ! Place) This is an islamic naat/hamd. Please visit iqplace.weebly.com to listen more. Tableeg-e-Islam (IQ! Place) This is an islamic naat/hamd. Please visit iqplace.weebly.com to listen more. Subhan Allah (IQ! Place) This is an islamic naat/hamd. Please visit iqplace.weebly.com to listen more. Sifat-e-Sahaba(r.a) (IQ! Place) This is an islamic naat/Hamd. Please visit iqplace.weebly.com to listen more. Rehlat e Khatmul Mursaleen (IQ! Place) This is an islamic naat/hamd. Please visit iqplace.weebly.com to listen more. Qaseeda Hassan Bin Sabit (IQ! Place) This is an islamic naat/hamd. Please visit iqplace.weebly.com to listen more. Nabi Ki Azmat (IQ! Place) This is an isalmic naat/hamd. Please visit iqplace.weebly.com to listen more. Lo Madine Ki Tajalli Say (IQ! Place) This is an islamic naat/hamd. Please visit https://iqplace.weebly.com to listen more. Ishq Ke Rang Mai (IQ! Place) This is an islamic naat. Visit https://iqplace.weebly.com to listen more. Dua (IQ! Place) This is an islamic naat/hamd. Please visit https://iqplace.weebly.com to listen more. Bus Yehi Dekhty Ho (IQ! Place) This is an islamic naat. Please visit https://iqplace.weely.com to listen more.